With Spring comes the welcome return of the great outdoors. Robins are back, grills are being fired up, and neighbors are once again active up and down the street. Unfortunately one other little neighbor is coming out of hibernation as well – chipmunks. The fuzzy little critters have been captured in Disney movies and cartoons for years, and they are often fun to watch as they scurry around the yard in hot pursuit of each other. But many homeowners can tell you that they bring more harm than good to your backyard Eden. Chipmunks are voracious eaters, attacking bulbs and seedlings and ravaging bird feeders until they hang empty. More serious destruction can happen around the foundation of your home. 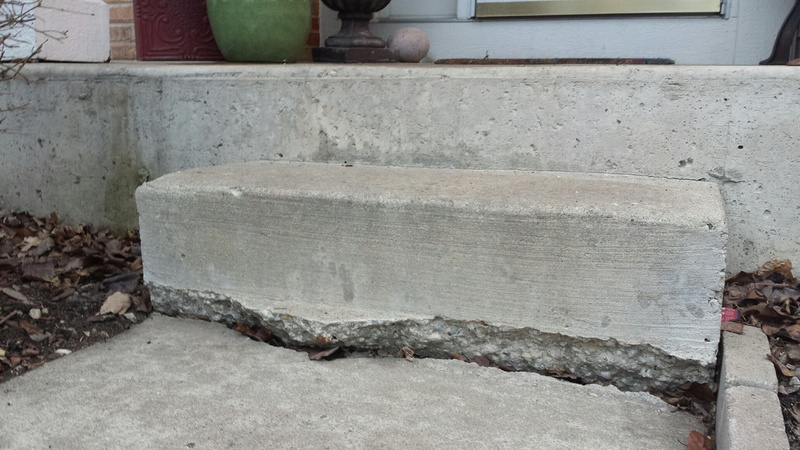 As chipmunks burrow to establish their underground pathways, they loosen and remove foundation materials underneath service walks and front stoops. As seen in this photo, when enough material is removed, the void created beneath structures can cause sagging and eventual collapse. So, while chipmunks can be a definite nuisance around your landscape, they turn downright damaging and costly when they start to affect your home. Gravel foundations for walks and steps can be surrounded by wire fencing in order to prevent rodents from burrowing through the material. The best prevention is to simply be aware of the conditions around your home and watch for any new or increasing chipmunk activity. That way, while many homeowners are able to tolerate a certain amount of activity around their home, a severe problem can be caught in the early stages before it results in costly damage. It’s a beautiful day here in Chicagoland! A great chance to open up some windows and begin cleaning dirt and debris out of the window tracks and away from weep holes so that your windows will drain well when Spring rains come. An old toothbrush works well for getting dirt out of the tight corners. It’s also a good chance to finally let a little fresh air into the house and clear out indoor air pollution! Be on the lookout for flooding and leaks. Comments Off on Be on the lookout for flooding and leaks. While we’re all enjoying the fabulous weather warm-up, it creates the perfect scenario for water damage around your home. All of that snow is melting quickly under the warm March sun, and snowdrifts act as dams by keeping the water pooled around outside foundation walls. If needed, clear areas of remaining snow away from the outside of your home to create a pathway for pooled water to drain away properly. In spring, it may be necessary to readjust the grade around your home so that water drains away instead of collecting near the foundation. 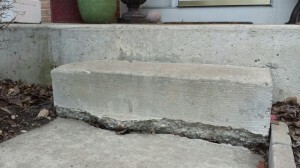 Check basements and crawlspaces to see if any water is leaking in through cracks in the foundation. Window wells can become tanks of water if snow-melt trickles in along the side of the house. Water can leak in quickly from these points! Make sure sump pumps are working properly and battery backups are functioning and ready to go. Clear leaf litter and debris from floor drains so that water can drain away quickly. If you have a sewer drain in the neighborhood near your home, check to see that it is clear of snow and leaves. The water draining from several yards can quickly turn into a small lake, and without adequate drainage it may begin to approach your home.